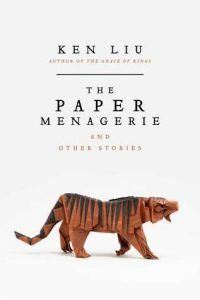 Ken Liu’s The Paper Menagerie is one of the best short story collections I’ve ever read, period. 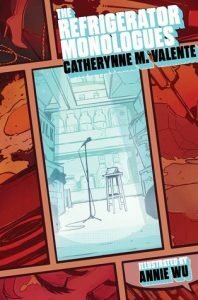 It’s rare for me to read a short story collection and find something to enjoy and marvel over in each story, but I did with this one. I think the only other one that matches that ‘I love every story in this’ is Ted Chiang’s Stories of Your Life and Others. After finishing The Paper Menagerie, I just wanted so much more, and I’m so looking forward to reading his Dandelion Dynasty series. I think the thing I liked most about this collection of stories, aside from Liu’s deft skill at writing in and blending several different genres, is that so many of the stories focus on the idea of storytelling and what that means for us as people and as a society. In the collection, you’ll read about the ways in which species across the universe record their stories for the present and the future (“The Bookmaking Habits of Select Species”), the ways in which society tells us stories to keep us controlled and how difficult it is to break the illusions (“Perfect Match”), the literal power of words (“The Literomancer”), and the literal preservation of memory to be “read” and its upsides and pitfalls (“Simulacrum”). 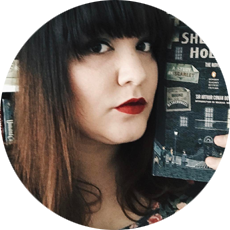 This solid collection has fiction in all genres, and one of the heaviest stories to read was “The Literomancer,” because while it’s got a flavor of magic and magical realism, it’s firmly rooted in history, and it’s difficult to read about and stomach the atrocities people can do to one another, and it adds another layer of heaviness when the story is mostly from a child’s, an innocent’s, perspective, because we’re watching that loss of innocence unfold before us. 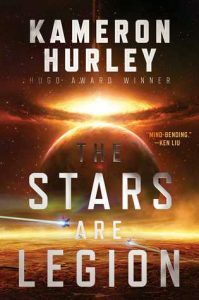 I also really liked “The Waves,” and I found it one of the strongest recent science fiction stories I’ve read in a while. Part of the joy of short story collections is the discovery within the covers, so I don’t want to go into too much detail about the stories themselves. But I will recommend this to you and everyone you know because it’s just that good.